This BIG HUGE PUZZLE measures 14 inches by 14 inches when complete! Students match up simple fractions, decimals and percents to demonstrate understanding of basic conversions. 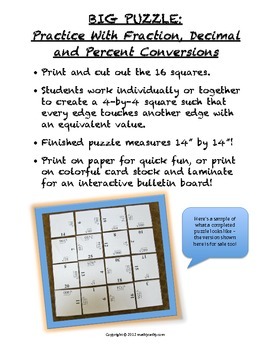 Works great as a pairs activity, an anchoring activity, or even, at this size, as an interactive bulletin board to display in the classroom (which is why I designed it in the first place - to print on card stock, laminate, and velcro the pieces to a bulletin board). 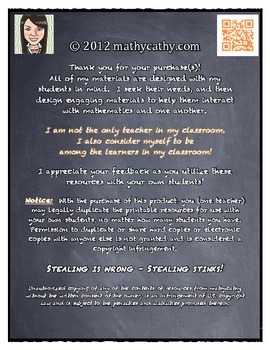 This is nice to display even before teaching students about conversions to inspire a little curiosity... enjoy! 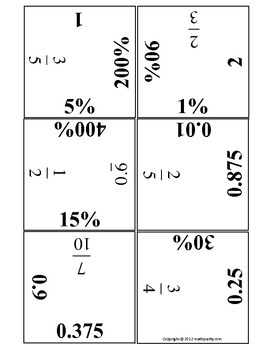 BIG HUGE PUZZLE Scientific Notation & Standard Numeral Match-Up! Linear Systems Problem Solving with Unique Graphic Organizer!